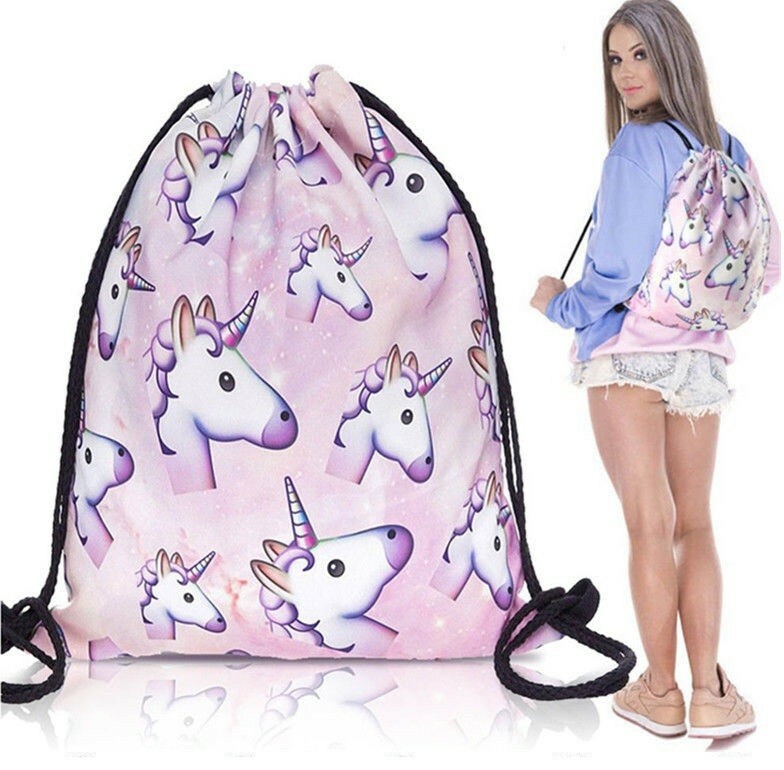 The perfect unicorn lovers emoji print bag. Easy open and close with drawstring at the top. Can be used for school, gym, hiking, travel, work, swimming and many other places.